Will 2010 (finally) be Blu-ray's year? This holiday season, Blu-ray sales have been up compared to last year, while DVD sales have been in decline. A year ago, I wrote a similar Blu-ray blog with a nearly identical title--simply swap out "2009" for "2010." At the time, sales of Blu-ray players had been disappointing, although falling hardware and disc prices were inspiring some analysts to predict a brighter '09 for the high-def movie format. A year has passed, and Blu-ray's outlook has improved -- although its long-term outlook remains murky. According to a new study by Home Media Research, US revenue from Blu-ray disc sales for the week ending November 29, 2009 -- yes, the all-important Black Friday week -- was $69.06 million, up a gaudy 224 percent from the same period a year earlier. DVD disc sales for that week, however, totaled $491.10 million, down 7.89 percent from '08. Shorthand: Blu-ray up, DVD down. The numbers reveal a lot. The solid rise in Blu-ray disc sales shows that consumers are finally migrating to the slow-to-catch-on HD format. On the other hand, DVD, despite its slight sales decline, remains the dominant physical disc format for the home entertainment market. Furthermore, many Blu-ray movies, once prohibitively expensive, are now downright cheap. While shopping at JB Hi-Fi yesterday, we spotted several Blu-ray titles, including popular flicks like the 2001 remake of Ocean's Eleven, for under $20. 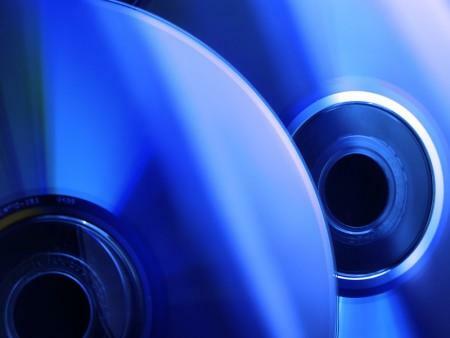 At those prices, a Blu-ray upgrade quickly becomes an impulse buy for many consumers. Another plus for Blu-ray: The latest players include Internet connectivity, thereby enabling consumers to take advantage of online content, including BD-Live and video-streaming services such as YouTube. This built-in upgrade path makes Blu-ray a lot more appealing to home users who might otherwise bypass a physical-disc format that they fear -- and rightfully so -- may very well be obsolete in a few years.